Stands of pink flowered Himalayan Balsam now line many of our chalk streams and little wonder when the mechanism for seed dispersal is seen at close quarters. When ripening, the seedpods increase in tension as they mature and dry until they reach a point where the slightest touch triggers the pod to split and the tension that has grown into the pod is released, expelling the seeds away from the parent plant. The waterways have then done the rest, sending seeds floating further downstream to colonise new patches of land further downstream. Impatiens glandulifera to give it its proper name is native to the Himalayas and has spread across the northern hemisphere largely due to human introduction. The plant has been cultivated in many places for it’s flowers but in others is regarded as an invasive species due to its aggressive method of seed dispersal which, combined with high nectar production which makes it attractive to pollinators, means it out-competes native species. 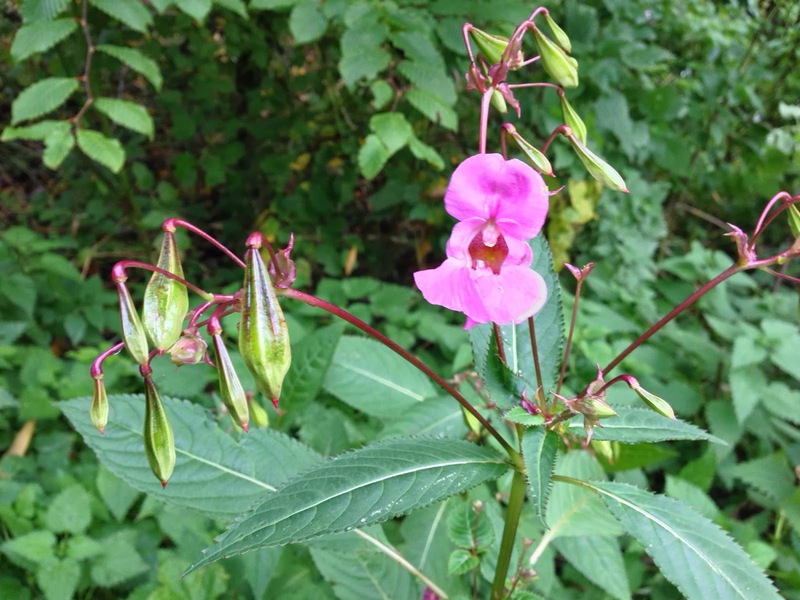 Further insights into the Himalayan Balsam’s history in the UK can be listened to on the BBC Radio iPlayer, in the company of the champion of weeds,Richard Mabey. Himalayan Balsam, Impatiens glandulifera, Indian Balsam, Policeman's Helmet. Bookmark.